A Wisconsin firm is voluntarily recalling its potato salad, due to the possibility of Listeria monocytogenes contamination. 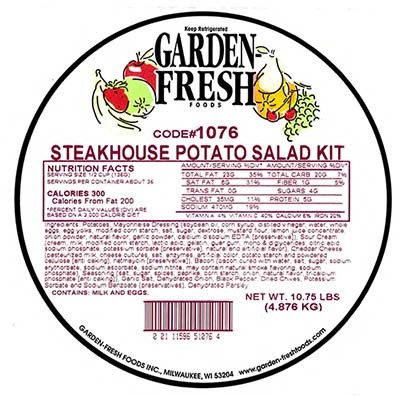 The product was distributed to Jewel stores in the Chicago area and may have been sold at delicatessen counters between May 30 and June 9 under the brand name Garden Fresh Steakhouse Potato Salad. June 11, 2015 in Food, Food Safety, Main Page, Recalls.